The Kelly Grimsley Kia dealership in Odessa, Texas is your one stop shop for new Kia sales or leasing, used car financing and reliable auto service, repair or parts. 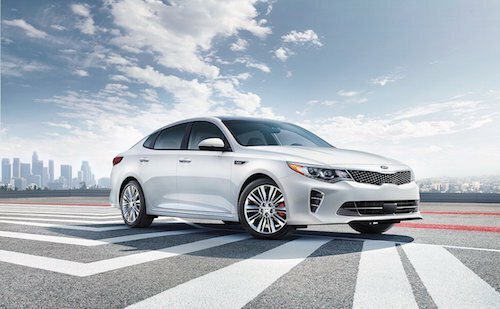 We offer the complete lineup of new Kia Cars and SUVs including the Kia Stinger, Niro, Cadenza, Forte, Optima, Optima Hybrid, Rio, Rio 5-Door, Soul, Sorento, Sportage and new Kia Telluride. Our Car Dealer finance department and can arrange affordable Kia financing or leasing in Odessa. We can also help you take advantage of current Special Offers and factory incentives for remarkable savings on a new car. If you are shopping for a Used Car, browse our inventory of pre-owned cars, trucks, mini vans and SUVs. We have plenty of used Kias in stock as well as used cars from a variety of manufacturers. If you are on a budget, our used car specials and selection of cars under $15,000 offer many affordable used cars for sale. For professional Kia service and repair look no further than the Kelly Grimsley Service Center. Kia Cars and SUVs are our specialty. Our certified technicians perform routine maintenance such as tune ups, oil changes, wheel alignment and more extensive auto repair. We use genuine Kia Parts and accessories to ensure that your vehicle continues to run perfectly. We invite you to visit our Odessa Kia dealers, meet the team and take a test drive today.